Here’s an act that’s definitely worth checking out and seeing live if you can make it to one of their upcoming shows. 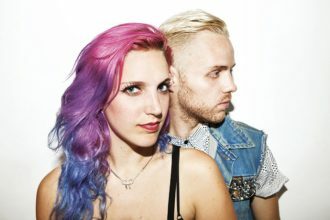 Critically-acclaimed New York and LA-based duo MS MR are currently in regional Australia for Groovin’ the Moo but they’re also here to play a national tour, including headlining shows in Brisbane and Perth for the first time, which is all set to kick off next week. Read on for details.